AKC Ch. 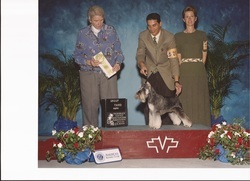 Schnaucam's Royal Knight "Bruno", finished on the competitive January circuit. He was Rooster's third champion.